Eclipse Group has extensive experience working with government agencies and understands the complexities of both domestic and foreign government contracting. Understanding each government’s own contracting requirements is a critical step toward the goal of a successful relationship. Our government clients are our partners. Eclipse Group has implemented accounting procedures and practices that are approved by the Defense Contractor Audit Agency (DCAA) and are compliant with the International Accounting Standards (IAS) and International Financial Reporting Standards (IFRS) as they relate to the European Union. Our accounting and legal departments and those of our teammates are experienced in working with national and foreign entities. Eclipse Group was awarded a $22,879,990, 3 year IDIQ contact with the Naval Underwater Warfare Center Division, Newport, R.I. providing operational and logistical support for ocean testing and related at-sea projects. Eclipse Group will provide operational support personnel and specialized equipment such as remotely operated vehicles, diving services, aircraft support, specialized mobilization equipment and vessels with crews and provisioning in supportof open ocean sea tests. 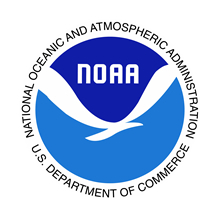 Eclipse Group and our teammate Guice Offshore were awarded an $8,000,000, 3 year IDIQ contract from the National Data Buoy Center (NDBC), a Division of the National Oceanographic and Atmospheric Administration (NOAA). Under this contract we will supply large ocean-going vessels for scheduled and unscheduled maintenance of the Tsunami and Hurricane early warning buoy systems located in both the Atlantic and Pacific Oceans. 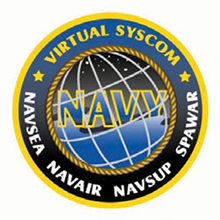 Eclipse Group, in response to task orders issued under this contract will provide services that potentially span the entire spectrum of mission areas supported by the activities and technical capabilities that comprise the various ordering offices, as well as provide professional support services to the overall Navy, and Marine Corps organizations. The functional areas identified above will be performed under this contract for new product areas, programs, or missions, which are assigned to these activities during the life of the contract.